One of the most popular alcohol beverages that’s originated from Russia is vodka. This beverage has been part of social life especially in Europe, Russia, and U.S. Vodka is favored because of its neutral taste and can be mixed with fruit juices like orange and tomato. Traditionally, it’s fermented from potatoes, but currently, it can be cereal grains. It usually contains 40-55% alcohol and you can easily find this beverage in parties, but do you know that this popular beverage has secret benefits for your hair? Vodka in traditional Russia culture is a drink that can cure many diseases such as toothache and wound. Besides its purpose to bring people closer in gathering and make the moods merrier, vodka also has astringent and antiseptic properties that are beneficial for your body. Moreover, vodka contains citric acid, a compound that’s usually put in skin care. This compound can treat the itchy scalp, an initial symptom of hair loss. A professional stylist from Warren-Tricomi salon said acid properties in vodka can help to maintain pH of hair and hair cuticle’s strength. Fascinating, isn’t it? Let’s find these 6 secret benefits of Russian vodka for your hair care. It’s really annoying to scratch your itchy scalp and get the whitish flakes to fall off on your shoulders. It’s not really connected with hygiene but the amount of skin oil and microbes like yeast are great contributors to this problem. Dandruff is really common, affects almost half of the human population but some of you may not get the best cure yet. Try mixing a cup of vodka with a cup of lemon juice and a cup of green tea water. Use this mixture as a tonic and rinse off your hair with cold water. You’ll find no dandruff on your shoulders after using this mixture twice a week. Every woman wants hair that’s easy to styled and brushed in any situation, but handling dry and frizzy hair can be really problematic. Straightener chemicals can be so harmful for your hair and getting treatment fom hair salon needs a lot of money and time. With the right hair care, smooth hair is easily achievable. Just mix vodka to your hair conditioner and use it twice a month. Vodka’s acidic properties can alter your hair structure without damage it. The money you save from not going to salon can be spent on things you have to prepare for your adopted dog. It’s not impossible to have shiny hair like what we always watch on shampoo commercials. Try adding a tablespoon of olive oil and some fresh lemon juices to a cup of vodka. Use this mixture as a hair mask for 30 minutes then rinse it with shampoo and cold water. Getting shiny hair will boost your confidence, give you opportunities to show off your hair when taking your dog for a walk. Make sure your dog not lying down frequently during walks. The other surprising benefit of vodka is reducing hair loss. Vodka can force the hair follicles contract so the hair strands keep intact and stronger. Try adding a tablespoon of honey and onion juices to a cup of vodka and use it as hair mask overnight. Wash it off in the morning. Use this mixture once or twice a week then say goodbye to hair loss! Then it’s time to pay attention to your cat and control its hair loss. The main key of healthy hair is moisturizing that prevent your hair strands dry and easy to break. The mixture of egg, avocado, honey, and vodka is the best choice as hair moisturizer that can penetrate deep into the hair strands. Mash a half of ripe avocado then mix it with 2 tablespoons of honey, an egg yolk, and 2 tablespoons of vodka. Stir the mixture until you get a creamy and smooth texture. Use it as a hair mask for 30 minutes then wash it off. Use it once a week then you can see the difference. Vodka also can boost your hair growth by cleanse the scalp and stimulate blood circulation. You don’t need to buy expensive hair growth serum and this is really simple. Just mix your shampoo you usually use with vodka. Pour your shampoo to your palm then add a tablespoon of vodka. Use this mixture to wash your hair and let your hair air-dry. 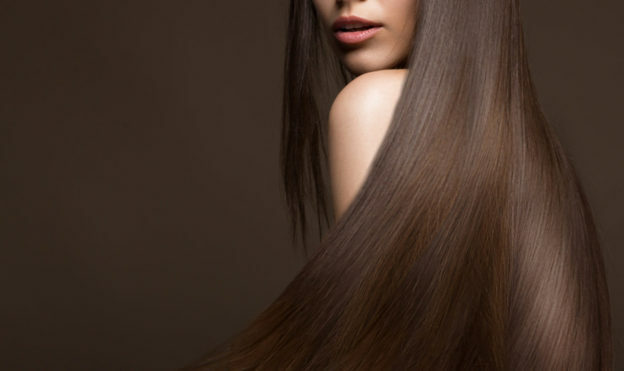 With regular use, once a week, you’ll see your hair grow faster and thicker. Easy, isn’t it? There are also home remedies to prevent hair loss in cats. Please remember that you must use vodka for hair care in moderation. Vodka has positive benefits for your hair but too frequent usage can make your hair scalp dry. Since vodka contains alcohol, please be careful to not get the hair care mixture into your eyes. A study has stated that putting alcohol on the skin is safe, even less irritating than some of hand wash products. But if you have any allergic reactions after using vodka for your hair then stop the usage. Everyone has different immune system conditions, if you have any specific skin or hair disease, consult with your doctor first before using vodka in your hair care. If you are allergic to cats, then don’t let your cat sleep on your beds. You can use any brand of Vodka that you like for your hair care. Moreover, if you live in the U.S. there is a law that requires vodka’s contents to be pretty much the same. So it doesn’t matter whether you buy the fancy and expensive vodka or the cheaper one, just make sure it suits your budget. Now let’s stock vodka in your fridge and get your healthy hair!